Here’s the biggest reason you need to create your own work: The careers we have chosen are brutally competitive. Roles are few and far between, and you have to create your own opportunities in this business and to take matters into your own hands. That’s why I chose to create my solo show “The American Soldier.” I wanted to play deeper, stronger, and more interesting characters than I was being given the opportunity to play. So I created a solo show based on real letters by veterans and their families from the Revolutionary War through the Afghanistan conflict. It’s nuts to think we can just sit around and wait for our agent or manager to call with the audition that may be our big break. It might work for some—just like winning the lottery—but I don’t think you want to place a bet on either. Take matters into your own hands and put pen to paper and create your own work. You will not regret it. You will grow as an actor and develop discipline from taking action and producing your own work. You will learn how to hold yourself accountable while forming valuable friendships and partnerships along the way. Those relationships will be translated into new opportunities. The opportunities that this project have presented me are far beyond any dream I could have ever imagined. Six years ago, I would have called you crazy if you told me that “The American Soldier” would have garnered glorious reviews by audiences, veterans, The Huffington Post, British Theatre, and The Scotsman; earned four stars at the Edinburgh Festival Fringe; been nominated for a U.K. Amnesty International Award for theater excellence; and played to multiple sold-out houses to standing ovations. Of course, I had help creating and shaping my project—but you will too. Simply focus on one step at a time and your project will come together. Remember that it is normal to have fear and doubt, but don’t let it paralyze you; let it drive you to take action. Like in acting, taking action is always the most important choice you can make as an actor. When you create your own work, you are giving your career life and opening opportunities for yourself to work as an actor and do what you have been trained to do. Your confidence will grow immensely and the industry will begin to see you in a new light. You have to keep reinventing yourself. You may think you have no ideas and that you can’t write, but trust me, if I can write, you can write too. Is it easy? No, but it is rewarding beyond your wildest dreams. The law of life states that anything worth having is worth working hard for. You don’t need a lot of money to make your own work. What you need is your imagination and a will to take action. 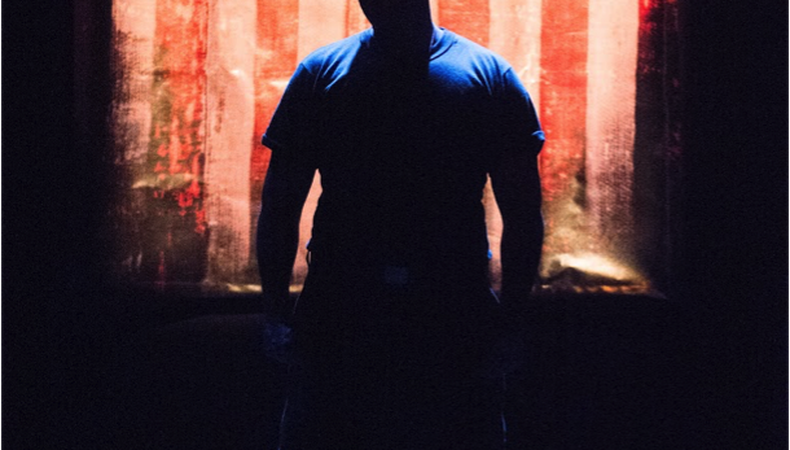 I’ll be performing “The American Soldier,” directed by Padraic Lillis, at Mile Square Theatre in Hoboken, New Jersey, Sept. 9–11. While you get to work writing your own show, check out our theater audition listings! And for more great advice, watch the video below.